The grand opening and first public viewing that the public saw of Rangely’s “The TANK” was held in September when residents and visitors were widely impressed with the sounds resounding through the tank. RANGELY I For 60 years, retired schoolteacher Bill Mitchem and his wife, Martha, watched trends in Rangely come and go, from mutton chops to Madonna. Other ideas, they learned, had staying power. Case in point: a year after their arrival to Rangely in 1956, Chevron took on management and production of the Rangely Weber Sand Unit. Bill Mitchem was teaching earth science and chemistry for Rangely High School in 1958, the year the field reached its peak production of 82,000 barrels per day. Not only did the Mitchems notice what lasted and faded away from the birds-eye view in their backyard, they took the concept of staying power and made it their own. 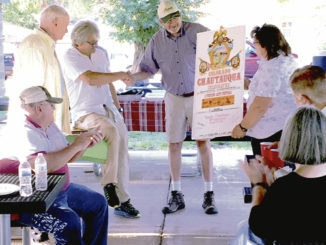 In 1988, when they retired from 30-plus years with the RE-4 school district, they considered relocating to Grand Junction. Instead, they stayed in Rangely to explore relationships with this place through photography, a passion for the outdoors and an affinity for the people who live here. In 2013, the Mitchems and the couple with whom they co-own Dinosaur’s BedRock Depot, Leona and Robert Hemmerich, heard about efforts to save the old steel water tank north of Rangely. It transformed sound like a yo-yo released from the constraints of gravity, they were told. Music became something hallowed and transformational inside the space. 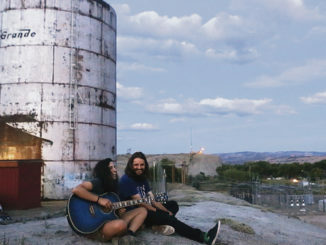 These Friends of the TANK, as the artists and musicians called themselves, would turn the TANK into a Center for Sonic Arts. The couples donated to the Friends’ Save the TANK Kickstarter campaign, not knowing whether the structure would survive its impending demolition. It did as $46,000 was raised from the initial campaign, plus countless material donations and volunteer hours brought a plethora of improvements, from the TANK’s legitimate status as a public assembly space to an on-site recording studio to transcribe future TANK sessions for posterity. As of press time, the goal looks to be in range. 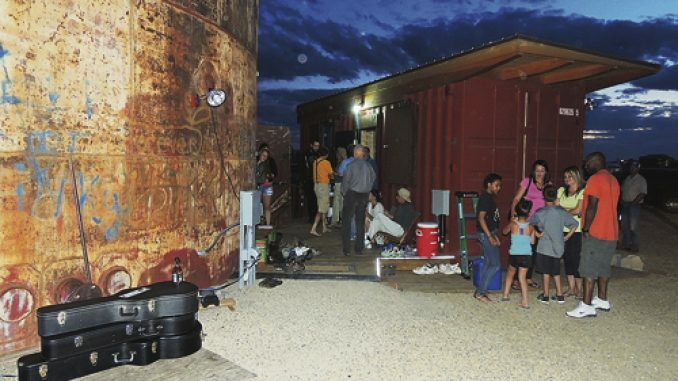 If, by Feb. 28 at 1 p.m. MST, Rio Blanco County residents, people across the U.S. and donors from more than a dozen other countries keep supporting the TANK, the Friends’ vision becomes reality. 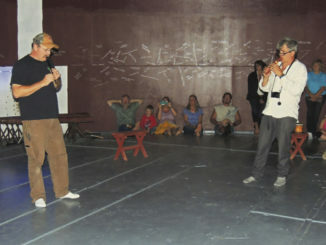 That vision, according to Friends of the TANK organizer Bruce Odland, looks like promotion and programming on a local and international scale; creating and supporting residencies for artists, educators and sound designers; and ramping up outreach to Rio Blanco communities and schoolchildren. For some locals, the prospect of more diversity in a struggling local economy has its own draws, whether or not people care about how the TANK makes curlicues of sound. The Town of Rangely and the Rangely Area Chamber of Commerce have put their names behind the project, in part for reasons like these. For Mitchem, the project is community-oriented, creatively-minded and economically viable. His personal hope for the TANK is to bring the grandson of a longtime friend to play his guitar in the space. But for the TANK to have staying power, he averred, opening the TANK happens now. Odland agrees, adding that the time to respond is now. “It won’t happen if you wait for somebody else to do it,” he said. “It’s like cold and dark away from the campfire, and if you do your part and move up to the campfire, you get warm. The closer you get, the warmer you get. To donate to the current Kickstarter campaign, search “Open the TANK” at www.kickstarter.com or go to kck.st/1VYAru8.